The Laurel Canyon Beverage Company, LLC. has a founding inspired by an idyllic island of calm amidst the hectic pulse of Los Angeles. Just footsteps from the famous Sunset Strip rests Laurel Canyon, a quiet neighborhood steeped in history. With its 1920’s bungalows and wild, grassy hillsides, the Canyon has served as a haven for Hollywood’s most wild veterans to live, write, create and relax. Within this sanctuary and amongst the poppies that provide a potent ingredient for combating stress, sprouted the idea to create an alternative to relaxing drinks like tea and wine. 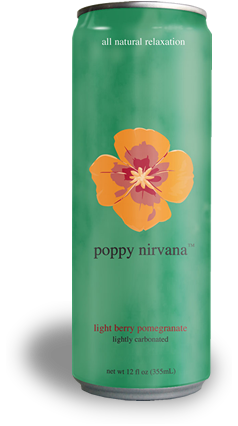 The idea evolved and now poppy nirvana™, a refreshing and all natural relaxation beverage which uses the calming effects of the California Poppy blended with the essence of the Laurel Canyon lifestyle, is yours to enjoy.